The Soul Train Cruise 2019 is going to elaborate fun time, and this fun time includes some world renown stars who have much talent. The Cruise is going to be full of dancing, singing, eating, and relaxing. You are able to meet certain stars such as The THE O’JAYS, THE WHISPERS, and The ENCHANTMENT just to name a few; furthermore, you get to travel along with these world renown stars to places such as St. Maarten, St. Croix, and Bahamas just to name a few. More Fort Lauderdale hotels and Hotel Reveiws! 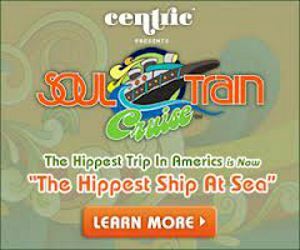 What Is Included in My Soul Train Cruise Package? Your cabin price includes more than 30 live performances and 25 celebrity interactive events with your fellow cruisers on the Hippest Trip at Sea. Sing, dance and dine for seven amazing days while celebrating the good life. THE SOUL TRAIN CRUISE COMEDY CLUB AND MORE! Sizzle Clip STC 2017 Viral final from Time Life on Vimeo. In addition to the nightly performances from Soul, Funk and R&B legends and exotic ports of call, your vacation will be filled with non-stop entertainment and fun with an exciting schedule of onboard events. Put on your Boogie Shoes, its time to get down tonight! Get dance lessons from the original Soul Train Dancers and groove down that classic Soul Train line all over again. Cooking Classes, Panel Discussions, Meet and Greet, Special Excursions And More! Dance All Night at Club Soul Train Our celebrity DJ will spin the old school hits every night in Club Soul Train. Dance the night away with old friends, new ones or that special someone. Join Us for EVEN More! For those who are familiar with our show presentation format, each and every night of the cruise features a major nightly show for each of our dining groups. Starting around 6 pm every night, those who are in 1st Seating Dining will dine and then will see their major nightly show around 8:30 pm or so. Those in Main Seating Dining will go to their major nightly show which will start around 6 pm as well. The exact show times and dining schedules have not been confirmed, but these times are reasonable approximations at this time. The nightly shows may be the same show twice or different shows. In either event, each show is performed once for 1st Seating Diners and once for Main Seating Diners, so you will see every show sometime during the cruise.